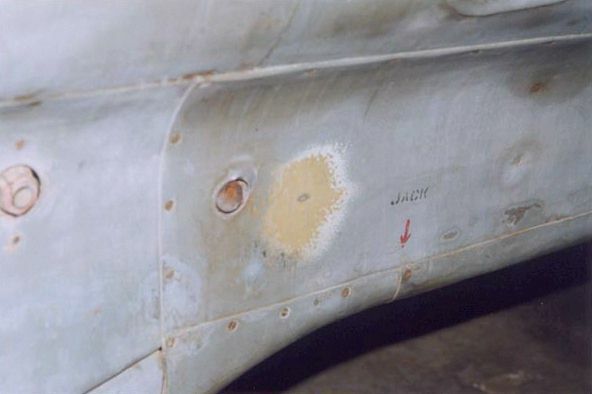 The sanding spot on the lower rear fuselage. It looks similar to that a little bit higher, except that the a whitish/light grey color is apparent between the RLM 02 and RLM 76. It could be that the exposed outer layer RLM 76 has collected a lot of dirt, so it makes the fresh paint look almost white.